Understanding systemic risks and finding innovative solutions to them—this is at the core of Green Alpha’s investment thesis and is a precondition of building a thriving, long-term economy. So when the World Economic Forum’s Global Risks Report is released every year, we pay attention. Along with climate, environmental and resource risks, growing inequality has come to be a commonly discussed concern. As both one of the richest and most unequal countries in the world, the United States is fertile ground for the destructive outcomes of this rising risk. So what makes this a true threat? 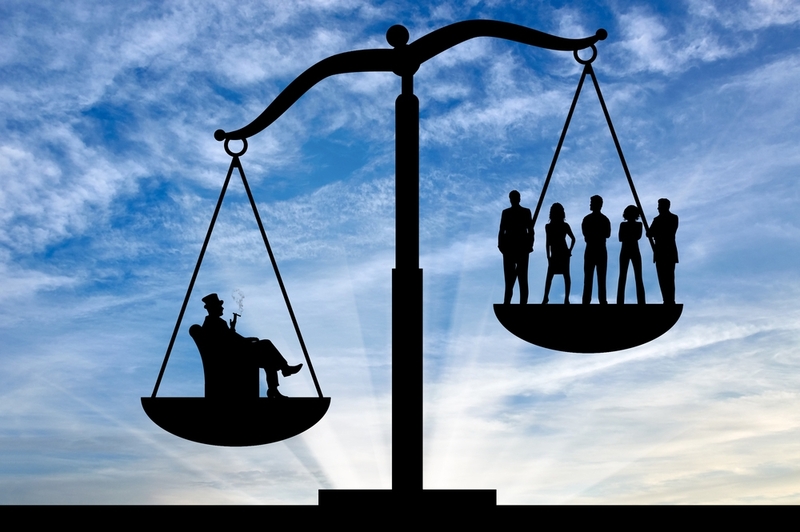 What makes inequality such a problematic phenomenon, not just a fact of life, as some seem to think? How do we ultimately find stability? WHY IS THIS A BIG DEAL NOW? We know that inequality has long ebbed and flowed across civilizations. Today the concentration of wealth in the United States is reaching one of its historically high points, and that means our thinking must evolve from seeing inequality as an inescapable fact of life to understanding it is a dangerous risk. True, income and wealth disparities have existed at least since our ancestors started to practice agriculture and establish sedentary domiciles. Civilizations have always muddled along through it all—except when they didn’t. Mighty Rome crumbled in part due to unrest and violence ignited by obscene levels of wealth inequality. As one succinct variation of the common thesis puts it, “Being Roman eventually meant being whatever wealth said it was, and shorn of the old ties that kept the rich and poor together out of a mutual sense of common destiny, they soon turned on one another.” Elites prioritized concentrating their power and assets, rather than the well-being of the state or their fellow citizens—ultimately to the detriment of their own livelihoods. According to James William Ermatinger in his seminal The Decline and Fall of the Roman Empire, “Their disinclination to lead may have been caused by forced exactions, confiscations, business concerns, tax pressures or general economic fears, which made protecting one’s own interests seem more prudent than looking out for the interests of others.” In other words, ‘me first, empire second,’ if at all. In the case of the Mayan civilization, a common theory holds that resource pressure brought about by a prolonged drought precipitated collapse, but recent archeological evidence also suggests “intensified elite competition, socio-political instability and warfare” were the primary drivers of the Maya downfall in the Petexbatun Region. There is a lot of scholarship in support of environmental and inequality theories, and evidence shows that both issues played their parts. For a civilization to fail, inequality must get pretty severe, and a compromised habitat certainly expedites the process. Sounds familiar, doesn’t it? The evidence demonstrating that the United States has a severe problem—historically high levels of wealth and income inequality—continues to roll in. 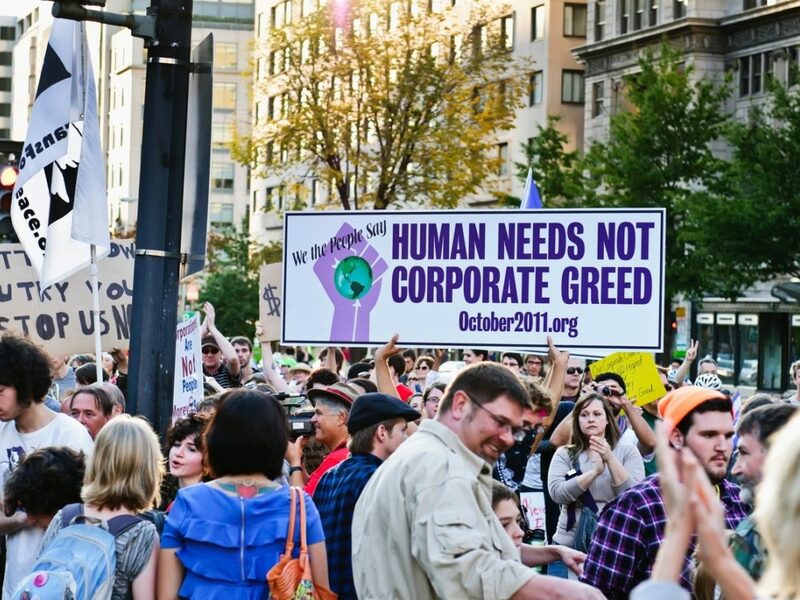 One percent of Americans own approximately twice as much as the bottom 90 percent. Back in 2013, Pew research reported that “U.S. income inequality has been increasing steadily since the 1970s, and now has reached levels not seen since 1928.” In the intervening five years, the problem has become worse. The wealthiest three people in the United States now own as much wealth as the bottom 160 million. Rome’s Crassus and Pompey had nothing on these guys. It seems Robert Reich could be right when he says we’re living in a new Gilded Age. Although our concern in this post is primarily with the U.S., it is important to note that the risk is systemic globally. According to the Credit Suisse Global Wealth Report, worldwide, the richest 1 percent now own half of global wealth, an increase of almost 5 percent since the start of the millennium. Here again, we see the risk is accelerating. 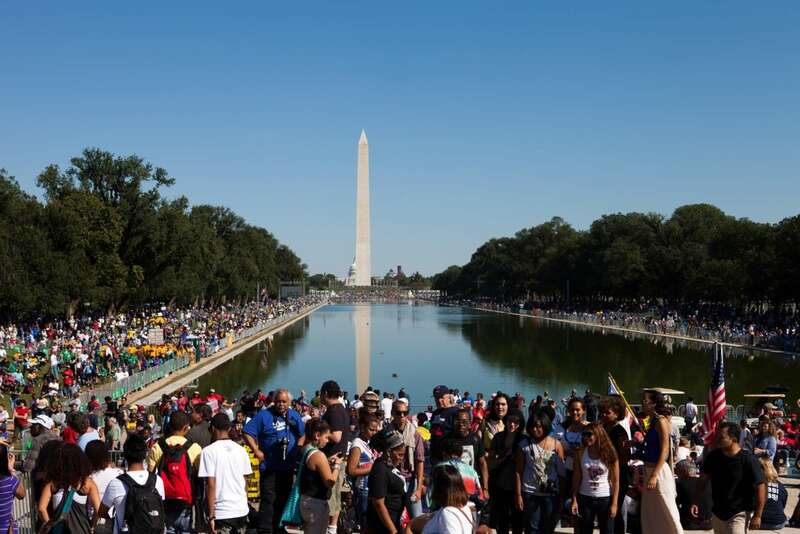 One Nation Rally, a march for union and civil rights, Washington DC, USA, October 2,2010. If we want to do something about it, we need to try to understand the real sources of inequality. Otherwise, many of us will tend to fall back on conventional stories that explain away economic inequality. In short, wages are not keeping up with productivity gains, and our societal rules are making getting ahead very hard for anyone who hasn’t come into privilege or doesn’t own the intellectual property that is generating the productivity gains. In an increasingly automated world, workers are no longer the primary means of economic production (with major exceptions for professions that require considerable creativity and relationship management). Even if a person is working hard, the human worker can’t add nearly as much economic productivity as a machine. One good way to measure the productivity of something is versus its relative contribution to GDP, and wages and salary income in the U.S. are now near as low a percentage of GDP as they’ve been since the Fed has kept track. One group feeling the effects of wage stagnation are millennials, who, for the first time in generations of Americans, have only a 50 percent shot at earning morethan their parents, and are today worth about half what their parents were at the same age. In 1963, the average wealth of white families was $121,000 higher than the average wealth of nonwhite families. By 2016, the household wealth gap between white and nonwhite families grew to over $700,000. 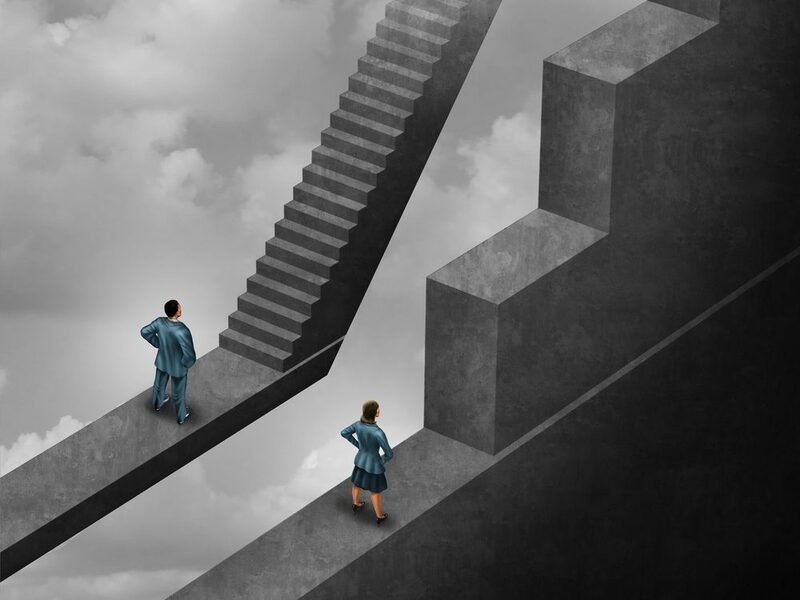 For women, the pay gap ranges anywhere from around 79 percent of white men’s earnings for white women, to 54 percent of white men’s earnings for Hispanic or Latina women. Research points to significant disparities in earnings for gay and transgender workers, due to high rates of discrimination in hiring, firing and wages. These gaps don’t act in isolation. Consider how wage gaps affect long-term wealth-building like home ownership, or how they make debts like student loans a greater burden to bear. Wealth gaps have a cumulative impact over generations, meaning the divide has deepened over time. Economic inequalities in the U.S. simply cannot be fully evaluated or tackled without broaching the subject of how they play out across demographics, including race, ethnicity, gender, sexual orientation/identification, age and (dis)ability. All of these sources are in large part initiated and preserved by policy (see Thomas Piketty for exhaustive coverage). Today, for example, a low-income mother who opens a college savings account for her children risks losing social assistance benefits; a more well-off family that starts a college savings program gets incentives. The estate tax was just reformed to exempt the first $10 million of transfer of wealth upon death, and that amount will rise by the amount of GDP growth every year. So the very wealthy—only two in 10,000 families qualify for this level of estate tax exemption—get a cost of living adjustment built into the law for their beneficiaries, but no one else does. Inequality widens in a way that has nothing to do with productivity or merit. Between getting the short end of the stick and seeing policy preserve the status quo for their richer elders, it should come as no surprise that 71 percent of American millennials believe we need a third mainstream political party. A Yale psychology paper published in the journal Nature Human Behaviour found that “When fairness and equality clash, people prefer fair inequality over unfair equality.” As long as people believe they have a fighter’s chance, they can feel relatively content with their lot in life, meaning social cohesion is to some degree preserved, even if their belief in a more level playing field is ultimately unfounded. But for the vast majority of the U.S., whatever wealth a family has is generally unprotected. There’s no requirement for paid maternity or paternity leave in the U.S. There’s no mandate for paid sick leave. Retirement savings, dental insurance and medical insurance are all deemed to be a private risk in the U.S. If you fall afoul in one of these areas in the United States and you aren’t privileged to have a legacy of wealth as a safety net, your prospects of becoming better-off quickly fall to zero. On the contrary, enough bad breaks and you could become homeless, even if you are working full time. So there’s a pervasive feeling that the game is rigged, and unless you were born rich, you’re screwed. It is this real, physical and emotional experience of unfairness—that you can live in the most abundant society in history and still walk on the edge of disaster—that stresses people to the point where their government and institutions of order and authority stop mattering to them. People thus pressured are often running at a continual cortisol peak and can easily be stressed into making extreme decisions; it can feel as though there is no better alternative. It seems entirely probable that rising inequality has something to do with “A Shocking Decline in American Life Expectancy,” particularly among the working class. HOW HAS INEQUALITY BEEN REVERSED IN THE PAST? It turns out that state-level collapse has always been very effective at, and possibly the only means of, promoting equality—but at a high cost to human life. That’s because almost everyone ends up being extremely poor after a civilizational collapse. “If you destroy state structures, then the rich simply have more to lose,” Scheidel explained. Obviously we don’t want that. But it’s hard today to see a path toward inequality diminishing in the U.S., where corporations are defined as people and money as free speech. As long as there’s nothing to stop the accelerating consolidation of U.S. total national wealth, we’re going to continue to see historic levels of inequity. We’re risking everything. Clearly, we need better answers than violence, and we need them now. Like climate change, a problem as ingrained as systemic inequality needs to be confronted at all angles. And tackling these risks actually offers our economy immense opportunities. Our hope for a stable, thriving economy and populous is not lost, but that topic must wait for our next post.